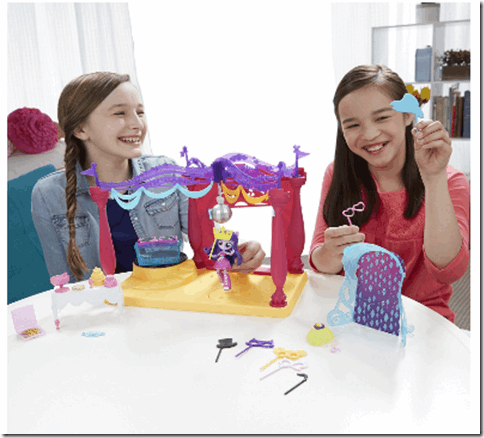 It is party time at Canterlot High and get the dance with Twilight Sparkle! 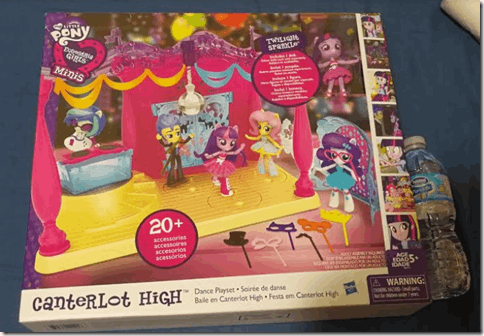 This My little Pony Equestria Girls Canterlot High Dance Playset Include a snack table and glittering disco ball, 24 accessories and instructions. Also has 3 places on the dance floor that can spin; fun accessries include photo, props, DJ booth.